Pete Dunne’s first contribution to our magazine, the essay “Hawks and Feeders,” was published 30 years ago, in the June 1987 issue. For many years now, he has written the regular wide-ranging column “Birder at Large,” and in our October 2016 issue he penned “Forty Years and Counting at Cape May,” the story of the Cape May Hawkwatch on its 40th anniversary. 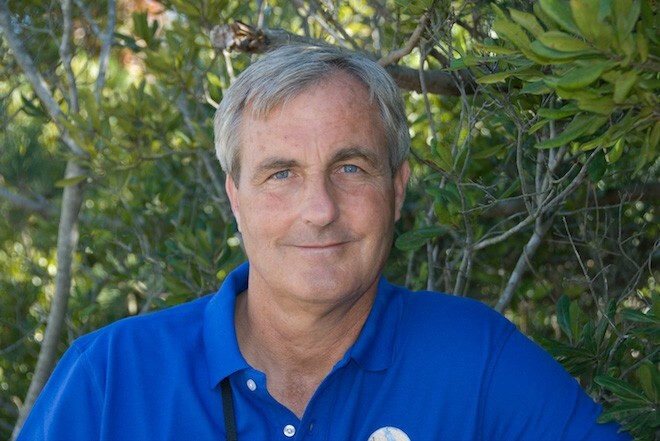 Pete is also the author of over a dozen books about birds and birding and the founder of the World Series of Birding. In 2001, in recognition of a lifetime of achievements in promoting the cause of birding, he received the Roger Tory Peterson Award from the American Birding Association. Until 2013, he served as director of the Cape May Bird Observatory and vice president for natural history for New Jersey Audubon. He is now New Jersey Audubon’s birding ambassador at-large. In our October 2017 issue, we’ll publish an excerpt of Pete’s latest book, Birds of Prey: Hawks, Eagles, Falcons, and Vultures of North America (Houghton Mifflin Harcourt, 2017). 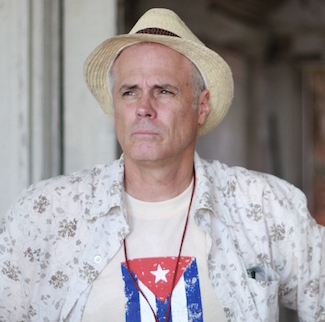 Lee Mergner, our publisher, talked with Dunne recently about writing, birding, raptors, Hemingway, and much more. 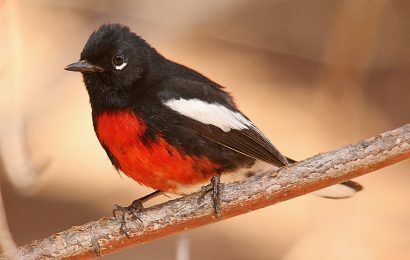 When did you first start writing about birds? Actually I first started writing about birds in the second grade. I started a book entitled Turk: The Story of a Hawk. 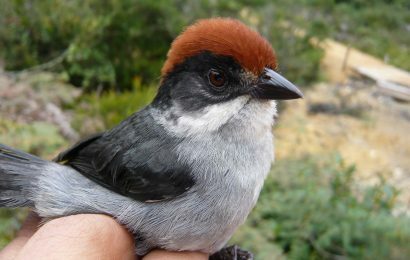 I only stopped writing it when I realized that I was plagiarizing a book called Rufous Redtail [by Helen Garrett]. 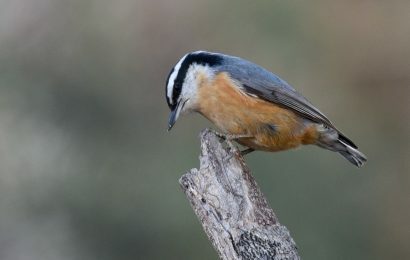 What non-birding writers do you most admire? 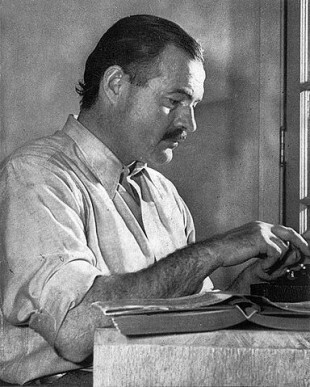 My favorite author by far is Ernest Hemingway. It’s not just his style that appeals to me. It’s all the elements he can weave together. His skill was such that the point he’d make was the one thing that he would leave out. He would write all around his point and leave it to you, the reader, to figure it out. That’s great writing. When and where do you write? Do you keep a journal? I find writing to be therapeutic. If I don’t have a writing project, I feel at loose ends. In terms of the process, I carry a notebook with me and jot down observations and also juxtapositions at that time between the natural world and the human world, which I then want to use as a theme to be the focus of a chapter or an essay in a book. No, I don’t. I keep a journal of natural observations that I have done since I was seven, but most of the time they don’t figure into my writing at all. Have you gone back and looked at your earlier entries? Yes, I have and I am actually very embarrassed by many of the entries — misidentifications that are obvious now but were a puzzle then. I had Golden-cheeked Warbler in New Jersey before I had Black-throated Green Warbler. And Golden-cheeked Warbler would have constituted a state record if it had been correct. The genre of memoirs and creative nonfiction has exploded in recent years. Have you read Victor Emanuel’s book One More Warbler? It is in essence a history of birding in North America. It’s wonderful. When you read the book you realize that he was present at the creation. He’s the Dean Atcheson of birders. That Victor Emanuel book — One More Warbler. It’s just delicious. I’m devouring it. I’m reading it slowly because I don’t want it to end. I haven’t said that about a book since Lord of the Rings. There is one other writer I’ve found to be very influential: John Steinbeck. I have often thought that East of Eden was the greatest book ever written. Then I remember For Whom the Bell Tolls. What was that recent controversy about Steinbeck’s Travels with Charley not being completely accurate? He had a lot to say about that. He once said that, “The difference between a lie and a story is that a lie is told for the benefit of the teller, whereas a story is told for the benefit of the reader or listener. I suppose if this definition is strictly adhered to then all writers are liars provided that they are financially fortunate.” What a delicious way of expressing it, both roundabout and poignant. And two other writers have been influential. 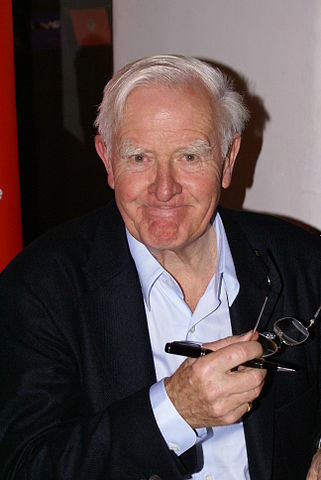 John Le Carré, for his way of expressing things. And Peter S. Beagle, who wrote The Last Unicorn, because his wordplay is brilliant. In fact I’m sure some of his phrases are tucked into my writing. 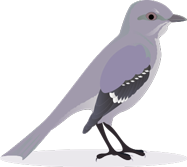 Your writing is accessible to both serious birders and novices. Is that something you’re aware of or does it just come naturally to you? Possibly a little of both. 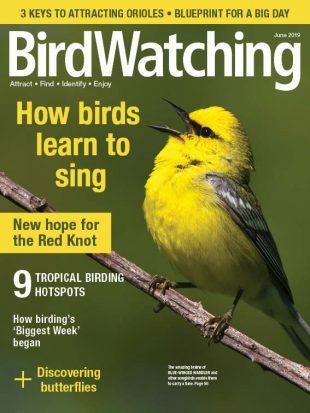 I am conscious of the fact that birdwatching is a fairly esoteric avocation, and if you’re trying to get a broader audience to be interested then you have to put it in words that are going to engage them. A few years ago, you suffered a stroke, which you’ve talked about publicly. How has your stroke affected you as a birder and as a writer? As a writer, it was challenging because I had to learn how to type with one hand. So the raptor book [Birds of Prey] is the first book I’ve written one-handed. I must say that I’ve learned that hunt-and-peck intrudes a lot of errors into your writing. In terms of my birding, I find I use binoculars less than I did because holding binoculars with one hand causes handshake and image quality suffers. But as a result I have become much more adept at identifying birds with my naked eye. How do you view the effect of technology on birding? One of the reasons I go birdwatching is to escape from technology. It’s not that I’m technophobic, but I’m techno-indifferent. Not so for the millennials who can’t imagine going out anywhere without their phones or their apps. You and I are of an age where you got up, had breakfast, and you ran outside and your parents didn’t want to have anything to do with you until dinnertime. I would disappear into the woods behind my parents’ house and I might have been 12 miles from home. I had no phone. I did things like climb trees or I’d go swimming and we lived. We survived. Your wife Linda, who is a photographer, has worked with you on many of your books. How has she contributed to your life as a writer and birder? What is it like to work together professionally? I think what it’s done more is simply to have forged a closed bond between the two of us. I love working with Linda and I love the time we get to work together on projects. Linda is an R.N. by training and her colleagues say, “How can you be with your husband for so long? What do you find to talk about?” We never have a problem finding things of joint interest. What was the origin of your association and love for the Cape May locale? Cape May was a fortunate accident. It was 1964 and Bill Clark had approached Cape May Audubon to start the Cape May Bird Observatory. And they needed a hawk counter. I was just coming off a spring project that the Audubon Society hired me to do. Actually I had approached them with the idea and they agreed to fund it. Being their hawk watcher on staff, I was heir apparent for the new post in Cape May as hawk watcher. You’re very much like an ambassador for birding in Cape May. It’s an easy thing to sell, Cape May. It was the perfect storm. It had a tourist infrastructure and some of the finest birding opportunities on the planet. And it’s not just Cape May. Cape May gets all the praise, but this whole Delaware Bay shore region is simply natural history rich. Back in the 1600s the Swedes, the Dutch, and the English all wanted this area. And they were willing to fight for it. And when the English finally won out, they also got some place named New Amsterdam [now New York City] thrown into the bargain. 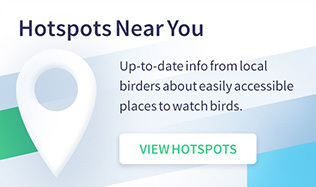 What are some of your favorite birding hotspots outside Cape May? In North America, Cave Creek, Arizona is a sentimental favorite. I find it to be ecologically exciting. It’s also the place that Linda and I went for our honeymoon. We were living in a small two-person tent, which of course on your honeymoon is no hardship. Outside the United States I love the Hula Valley of Israel. And every birder should treat themselves to East Africa. The first morning you wake up in Africa will be one of the most exciting times of your life. You’ve written before about raptors and hawks. What led you to write this particular book, Birds of Prey? Birds of prey have been a fascination for me since my early 20s. When I first became enamored of birds of prey, I read everything I could about them. I might be the only person on the planet who has read the entire Bent series on the hawks and owls, twice. I always wanted to write a book about these birds, but I had to wait until I had the standing. I needed the grounding of personal experience with all these birds. I didn’t want to just regurgitate previous information. 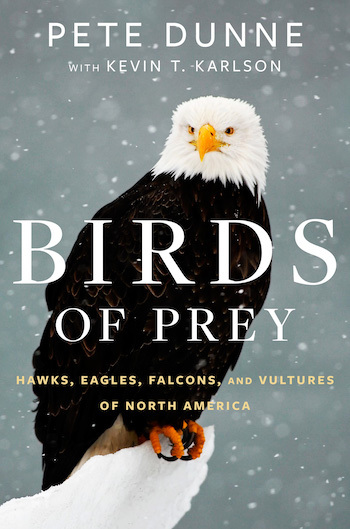 Although one of the things that no one has picked up on with the Birds of Prey book is that what I really set out to do was to provide a second hearing for a lot of books and authors that have been forgotten, like Audubon and Wilson, John Krider, and even some of the more modern raptor biologists who have wonderful books on the subject but they’re now out of print. And there’s a whole generation growing up who probably don’t know about [the] Arthur Cleveland Bent series, which I find tragic. If you see somebody and they don’t know who Forbush was, you’d say, “How can you not know who Forbush was?” But I suppose it’s the lament of every generation. Yes, it is a sad thing to see some folks lost in history. Sometimes it’s just luck. One of the things I learned about Audubon and Wilson is that they didn’t just go out and shoot birds and look at them in hand. They actively studied these things in the field, which is something I’m not certain that birders today do. The game begins and ends with identification… turn the page. I think it was in a column I wrote for you that I don’t understand why it is that birdwatching has become the mindless pursuit of birds with ear disorders. I began it when I got out of rehab. The contract had already been signed before my stroke. We had spent most of the advance on a new kitchen. I was kind of forced to write the book, which turned out to be good because I needed something to focus on. The book took about two years, but at least one of those years was working with [photographer] Kevin Karlson. This book was never intended to be this visual. My original conception was not a real image-driven book. It was to be text-driven. But when you team up with the likes of Kevin Karlson the dynamic changes. The images really bring the book to life. We went through hundreds of images. The ones we rejected from some of the finest birding photographers in North America would have constituted a book in its own right. It was very difficult to make a selection. One of the things I learned from this book is the importance of captions. You can write a whole book with images and captions and get your point across. Interestingly, those are likely what people will readily remember. From here on in, I’m going to make that a focus of any of the books I write. I’m working on another book right now with Kevin. It’s called Gulls Simplified. They’re a fabulous group of birds. There is no other bird group so accomplished on land, sea, and the air. You have pointed out in a few of your books and columns that one of the best ways to observe gulls is going to a waste treatment plant or garbage dump. I spent hundreds of hours with my mentor at the Hackensack dumps. A fellow by the name of Floyd Wolfarth. I met him late in life. I was 24 at the time. He was the first birder that I ever got to know. Floyd was a retired Teamster and in his own mind the founder of North Jersey birding, which could be argued to be true. He founded several Christmas counts, he was an ardent hawk watcher. It was widely known by all that knew him that God and Floyd shared opinions on a lot of subjects. And he said unto you. As a matter of fact, his picture hangs in my office here. His and Roger Peterson’s. What are some of the things he taught you? Is there any book you wish you had written or hope to write in the future? There is. One of the things I want to tackle next is shorebirds. I revered Shorebirds of North America by Peter Matthiessen, but we’ve learned a great deal more about shorebirds since that time. I have a vested interest in the shorebirds concentration locally in the Delaware Bay, being one of the first to have recognized that significance. At his point in your life having written so many books, does writing and publishing a book still give you a lift? I like to write. It’s therapeutic for me. I like the way my mind works when I write. I feel focused and grounded. What I love most is that every new piece of writing sets the stage for a new dynamic between myself and a reader. That makes every piece of writing unique. As I love to point out, writing is 50 percent reader. But most writers don’t have that opportunity to interact with their readers. You’re fortunate as a birder to have that experience. I have lots of direct feedback through the festivals, the Hog Island camp that I just taught. I get to have people come up and tell me their favorite piece of writing. What I love about that is that half the time I barely remember it. You never know what is going to strike a chord in someone else. Some of the things I thought were just throw-away pieces, people really bonded to. Is there anything you’ve learned from that interaction with readers? Yes, to respect the readers’ intelligence. You don’t have to tell them everything. As a matter of fact, you’re better if you don’t. Let them fill in the blanks. Every once in a while I teach a little course on writing and I ask the question about the poem “The Highwayman” [by Alfred Noyes]. There’s a wonderful line: “The road was a ribbon of moonlight.” It’s just so evocative. I say to them, “Which is better? The road was a ribbon of moonlight or the road was a ribbon of bright moonlight.” Give the reader a chance. They can be any kind of moonlight they want. Whatever they relate to, that’s what the road is going to be. You have a unique less-is-more approach to writing. Writing to me is mostly having an idea worth expressing. If you start with a bad idea, you end up with a bad idea. If you’re not excited by it, then probably your reader is not going to be excited about it either.